There are many reasons why you should take care of your gums, but the most important reason is so that you could avoid gum problems, such as gingivitis and periodontitis. Imagine This: you are in the bathroom brushing your teeth when your gums suddenly bled. What do you do? There is a high chance that you just ignore the bleeding and gargle the blood with water. Right? And it is very likely that you won’t think your gum bled because you have gum disease. However, unknown to many, healthy gums should never bleed even when you brush. Healthy gums, that is, those that are taken good care of, should look pink and firm and not red and swollen. In gingivitis, the milder of the two, your gums will appear tender and swollen and may sometimes bleed. If not treated immediately, gingivitis may worsen and develop into periodontitis. Periodontitis is an irreversible, serious gum infection that damages your soft tissue and destroys the bone supporting your teeth, thus leading to tooth loss. Aside from causing tooth loss, periodontitis may also weaken your bodily defenses and may lead to other more serious diseases and infections, including heart disease, arthritis, and gastro-intestinal disease. According to the Department of Health, 78% of Filipinos have periodontitis or other gum disease, and many do not even know they have it. The good news is gum diseases can be prevented and treated in their early stages. You can prevent gum disease by having a healthier lifestyle, exercising regularly, and maintaining good oral hygiene, which means brushing and flossing your teeth every day and regularly visiting your dentist. Taking a gum supplement, such as Sensedol, will also help prevent gum diseases and maintain the health of your gums. 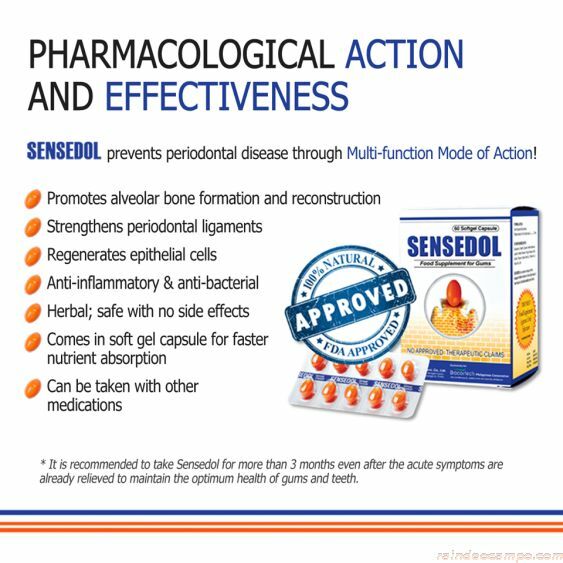 Dentists nationwide prescribe Sensedol, the first food supplement in the Philippines that is focused on gum care, for the treatment and prevention of gum diseases. Made in Korea, Sensedol is 100% natural and is made up of Zea mays L., which is an extract from a specific variety of corn native to North and South America. You may think that since Sensedol is made from corn, you can just eat corn to get the same health benefits. However, although corn contains many vitamins and nutrients, the active ingredient in Sensedol comes from a concentrated form of the plant and can only be extracted using a specific, stringent process. Sensedol helps not only promote the faster healing of the gums in cases of gingivitis and periodontitis but also prevent these diseases. 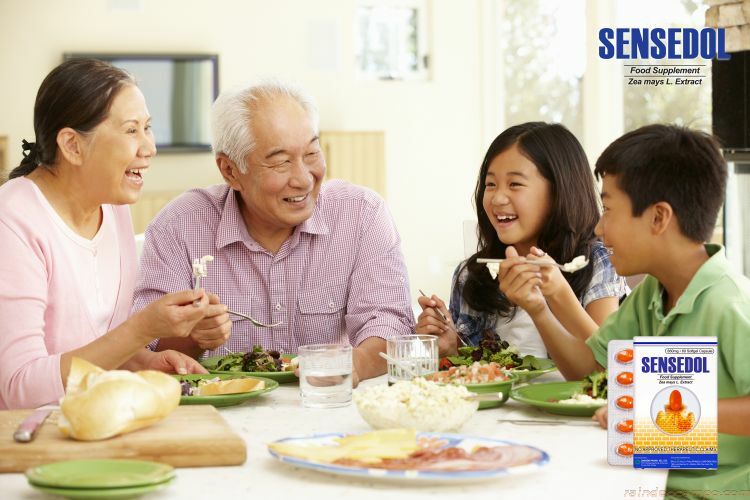 According to studies, improved gum health can be seen in as early as 5.6 days upon taking Sensedol once a day. Sensedol is available in all Watsons, Mercury Drug, St. Joseph Drug, Metro Pharmacy, and Ceciles Pharmacy branches nationwide. Visit and like Sensedol’s Facebook page for more information: https://www.facebook.com/Sensedolkorea/. how much is sensedol per capsule? How long can we take this supplement?